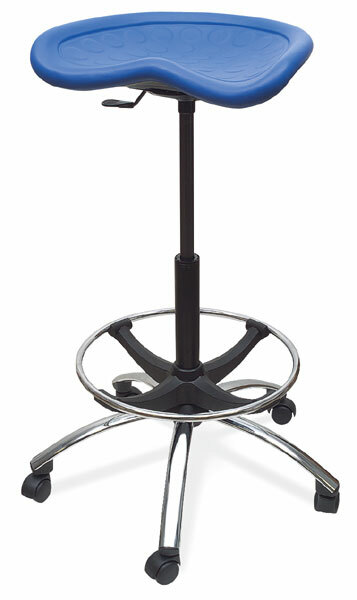 Height adjustable stool pneumatically adjusts to accommodate desk-height to counter-height activities. The soft, oversized 19"W × 14"D tractor-shaped seat constructed of PVC coated gel is molded on a metal frame. The five-star 26” polished chrome base has a raised 18" adjustable foot ring and carpet casters. The seat height adjusts from 27" to 34" with a 360º swivel. Assembly is required.